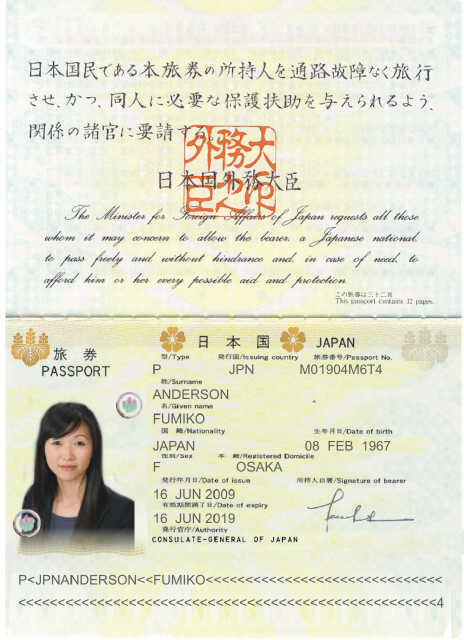 Over 180 lawyers in Ontario, the U.S and overseas have notified us that they received an email from the purported Fumiko Anderson looking to retain them with regards to a collecting overdue payments resulting from a separation agreement. I wish to engage your legal representation to help me file a petition against my ex-husband for breaching the court order with regards to payment of Child Support, Spousal Support and Medical Support. Kindly advise. retain your law firm, please forward your firm’s retainer fee agreement so that we can proceed. Thank you and have a pleasant day. My wife was contacted through LinkedIn by an alleged Professor in the UK that was listed as a consultant for Yupeng Heavy Industrial Equipment. We assume she was targeted because of her many connections with EB-5 Attorney’s because of a program she is involved in. He initiated the contact and she has since been contacted by Meo Wan. The same correspondence above was used. Can someone tell me if the Company (Yupeng) actually exists? How about the various people with Yueng job titles on LinkedIn? Including a couple of Accounts Receivable Agents. Pretty elaborate to put all of those in place! Too bad. Would have been a nice gig! We are glad that your blog was here as we began to check it out. Thank you! The fraudsters often use real companies and the names of real executive, but change the contact information to direct enquiries to the fraudsters themselves. We also were contacted by Meo Wan from Yupeng who offered us a salary of 60k plus 2% commisions. We havent done a thing yet they sent us a client to collect from. Some lawyer in the US. This is a scam I am certain. Is their a way to chase these bandits down, I too, was sucked into this via Linkedin. They actually were assigned a email Fu Hang = [email protected] an address from the company so somebody inside is doing this and assigning email addresses….Plus thier Country code is 85 not 86 which is China, 85 is Hong Kong or Macau…..I have the MOU signed and my first assignment to call a Canadian attorney “Bill Robinson” to collect on $178,548.00″. I was suspicious at first and wanted to see how far this went…. Would you like the information? Should I report this tho IC3.org? I have not done anything yet…. Hi Mr. Sandler. If you have emails from the fraudsters you can forward them to [email protected] We haven’t had much luck shutting any of them down or getting police much interested in doing anything. We’re told it takes too much time and resources, and the fraudsters just change names and addresses constantly anyhow. We’ve found getting the information out on this blog is a very effective way to alert lawyers who may use Google to find more information on these “clients”.